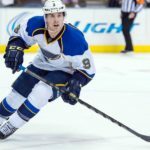 When it comes to awarding the Hart Memorial Trophy for the most valuable player on an NHL hockey team, the default move is to always go with someone who has won already and/or someone who is always in the race for the trophy, even if they do not always win (like Capitals winger Alex Ovechkin). While this is understandable to some degree, it can lock out worthy candidates that are truly the most valuable to their team. 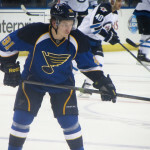 One such player is St. Louis Blues right wing, Vladimir Tarasenko. 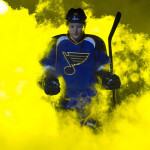 For those who follow hockey, Tarasenko has been well known for the potential his has exhibited from the moment he was chosen by the Blues in the first round, 16th pick, of 2010 NHL Draft. He thus has hardly come out of nowhere, however this season he has truly stepped up and helped lead a Blues scoring revival. Prior to this season, the Blues where known more for their defensive prowess, than their scoring touch. They occupied a space you could call “Bruins West”. They played a game that relied on defense to make up for fewer goals. That is no longer true. That remarkable scoring increase would not be happening without Tarasenko. So far this season, the Blues have scored 184 goals for and allowed only 142 against for a difference of +42. They have retained their defense, while increasing their offense. Tarasenko has scored 31 goals (a big part of that +42) and 26 assists for a total of 57 points and a +27. In comparison, Alex Ovechkin has 38-23-61 and a +12. Ovie is fabulous of course, however I would argue that Tarasenko has meant the most to his team, while garnering similar numbers as Washington’s multiple Hart winner. 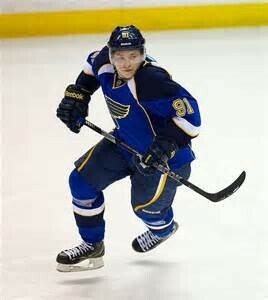 Vladimir Tarasenko should win the Hart Trophy this year, there is no doubt in my mind.